Adv. Gilead Sher is the founder of the firm and its senior partner. He specializes in international negotiations, both business and political. Adv. Sher deals with commercial law, public and administrative law, as well as resolving disputes – both as a representative and as an arbitrator and mediator. In the commercial field, Adv. Sher represents major corporations, both Israeli and foreign, in business negotiations, in signing contracts and representation Vis à Vis the authorities in Israel. Adv. Sher is involved in commercial transactions and complex international projects, among them BOT – PPP and PFI projects. In the field of public and administrative law, Adv. Sher acts on behalf of government and public entities in complex projects, in tenders and agreements in the public sector. Furthermore Adv. Sher represents entities and individuals in their dealings with the authorities, and he represents petitioners in administrative petitions and petitions to the Supreme Court. In the framework of public dealings, Adv. Sher has represented senior public figures who were summoned to appear before Committees of Inquiry, either official or other, or officials mentioned in reports of the State Comptroller and other auditing entities. In the field of resolving disputes, Adv. Sher deals with commercial litigation, while specializing in arbitration and mediation before international organizations. Adv. 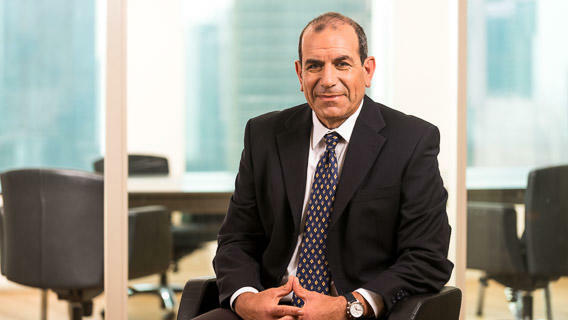 Sher also serves as an arbitrator and mediator in cases referred to him by the courts, by the Bar Association and from the Israel Institute for Business Arbitration. Adv. Sher participated in the establishment of the “Jerusalem Arbitration Center”, a joint Israeli-Palestinian arbitration center under the auspices of the ICC. Advanced supplementary course on economic aspects of complex economic projects and infrastructure projects at Harvard University. Advanced supplementary course on complex project financing, under the auspices of the World Bank and the FIDIC. Together with his law practice, Adv. Sher is also active in the political-defense realm and in the promotion of peace in the Middle East in various frameworks in Israel and abroad. Adv. Sher served as Chief of Staff to Prime Minister and Minister of Defense Ehud Barak, and headed the team negotiating with the Palestinians in the years 1999—2001, including in the Sharm el-Sheikh Agreement, the Camp David Summit and the Taba Agreement. He was a member of the Israeli delegation to the Interim Agreement of the Rabin Government (1994—1995), and served as head of the project of negotiations with the Palestinians in the IDF’s Planning Branch. He is a senior researcher at the Institute for National Security Studies (INSS), founded and heads the Center for Applied Negotiations – CAN. Harvard Law School and Harvard’s Program on Negotiations appointed attorney Gilead Sher of Gilead Sher & Co., Law Offices in Tel Aviv as Lecturer on Law for the 2016 fall semester. Sher will spend September through October in Cambridge, Mass. During the years 2001—2011, Adv. Sher served as a guest lecturer at the Wharton School of Business Administration at the University of Pennsylvania in Philadelphia, USA, where he coordinated an annual workshop for MBA students on Resolving Disputes and Negotiations in Times of Crisis. Between 2007 2013 he lectured as an adjunct professor at the University of Tel Aviv, in the framework of Master’s degree studies in Public Policy and Conflict Resolution. In addition, Adv. Sher often lectures at leading academies and research institutes in Israel and throughout the world. In the framework of his reserves service, with the rank of colonel, Adv. Sher commanded the 8th Armored Brigade and served as deputy division commander, and also served as a judge in a special Military Court. Previously, he served as a tank company commander, regiment commander and deputy brigade commander. Chairman of the Management Committee and oard of Directors of the Sapir Academic College. Member of the Board of Directors of the Association of Civil Rights in Israel (2007—2011). Member of the Council for Peace and Security. Co-chairman of the Blue White Future Non-Profit Organization. Chairman of the Board of the Sam Spiegel School of Film and Television in Jerusalem (until 2013). President (former) of the “Israel Ohshima Shotokan” Karate Association and fifth Dan trainer in that framework. Member of the Advisory Committee to the Ministry of Defense for the Merkava Tank Project. Board member of Budo for Peace (until 2013). Member of the social lobby for promotion of civic-national service in Israel. Member of the International Association of Jewish Lawyers and Jurists. Appointed Chevalier de l'Ordre national du Merite by former French President Chirac for his efforts to promote peace. He wrote the book “Within Reach” about the peace negotiations between 1999 and 2001, published by Yediot Aharonot/Eidanim, 2001, which was translated into English and Arabic, and he has also published dozens of newspaper articles in Israel and abroad on legal, political and public policy matters.